Native Python support on Azure App Service on Linux: new public preview! We’re excited to officially announce the public preview of the built-in Python images for Azure App Service on Linux, a much requested feature by our customers. Developers can get started today deploying Python Web Apps to the cloud, on a fully-managed environment running on top of the Linux operating system. This new preview runtime adds to a list of growing stacks supported by Azure App Service on Linux, which includes also Node.js, .NET Core, PHP, Java SE, Tomcat, and Ruby. With the choice of Python 3.7, 3.6 and soon 2.7, developers can get started quickly and deploy Python applications to the cloud, including Django and Flask, and leverage the full suite of features of Azure App Service on Linux. This includes support for deployments via “git push”, and the ability to deploy and debug live applications using Visual Studio Code (our free and open source editor for macOS, Linux, and Windows). When you use the official images for Python on App Service on Linux, the platform automatically installs the dependencies specified in the requirements.txt​ file. Additionally, it detects common Flask and Django application structures and hosts them using gunicorn, and includes the necessary modules for connecting to Azure DB for PostgreSQL. While the underlying infrastructure of Azure App Service on Linux has been generally available (GA) for over a year, at the moment we’re releasing the runtime for Python in public preview, with GA expected in a few months. In addition to using the built-in images, Python developers can deploy their applications using a custom Docker container on Web Apps for Containers. 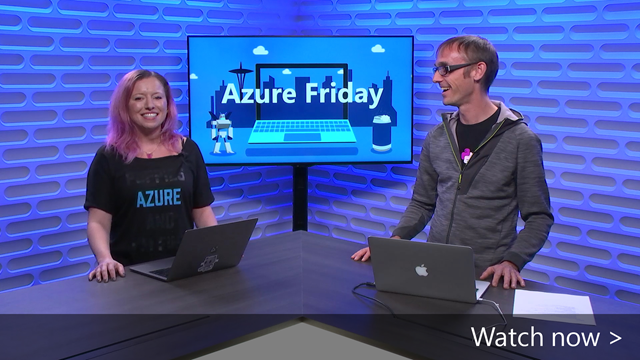 Carlton Gibson, Django Software Foundation fellow and core maintainer of the Django project, recently joined our developer advocate Nina Zakharenko for a video series on using Python/Django on Visual Studio Code, Azure, and Azure DevOps. The full walkthrough is available on the Microsoft + Open Source blog. Try out Python on App Service on Linux using the Azure CLI. Get started experience using Visual Studio Code.